If you want your audience to quickly send you a predefined message using their smartphones, then the SMS QR Code is just what you need. As one scans this QR Code, she gets a pre-loaded message generated on the smartphone. 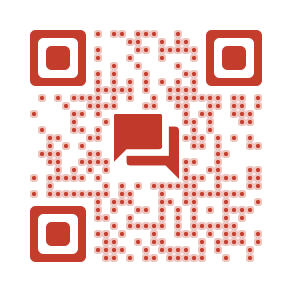 How do I create an SMS QR Code? 1. Go to an SMS QR Code Generator. 2. Enter your phone number and text message in the fields given, and click on Create QR Code. 3. Your QR Code has been generated and you will have three design options to choose from – standard black & white, fancy with custom logo, and fancy with custom background. 4. You can either Customize the design or proceed to Download the QR Code. Note that you will need to sign up for a free trial account to Download the QR Code. 5. Note that an SMS QR Code is a static QR Code. This means that it has permanent content. Hence, one cannot edit it. If you need to update your QR Code, you will have to create a new QR Code. Scanova allows you create various types of QR Codes along with designing, tracking (dynamic QR Codes only), and managing them. 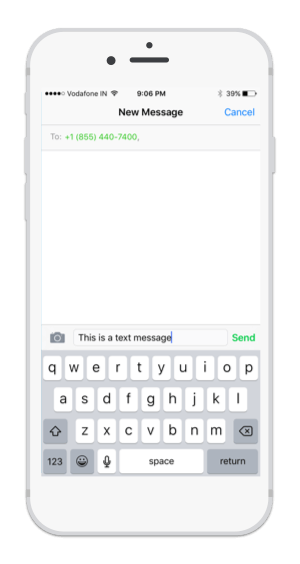 Create a visually-appealing SMS QR Code to make it easy for your customers or potential to send you a pre-defined text message.